Vauxhall’s all-new Astra family hatchback was named 2015 Scottish Car of the Year this evening at the Association of Scottish Motoring Writers’ annual awards held in Edinburgh. The British-built Astra also took the Eco and Family car awards, while the company’s new VIVA drove away with the Compact car gong. “We’re extremely proud that the Astra is the 2015 Scottish Car of the Year,” said Mark Adams, Vauxhall/Opel’s Vice President, Design, who accepted the award on behalf of Vauxhall. “The Scots have made Vauxhall their most popular car manufacturer over the last seven years, so we’re glad that we’ve been able to repay their loyalty by delivering a car that will appeal in so many ways. The Astra also took a brace of class awards during the evening, with the 1.6 CDTi model triumphing in the Eco category, which included rivals with a range of alternative power sources. Its new-generation of engine – the Whisper Diesel - combined with Astra’s drop in kerb-weight of up to 200kgs means the 136PS 1.6 CDTi can achieve 76.3mpg combined and CO2 emissions of just 99g/km. The Astra also won SCOTY’s Family Car Award, with the judges recognising its family-friendly technology and clever use of cabin space. 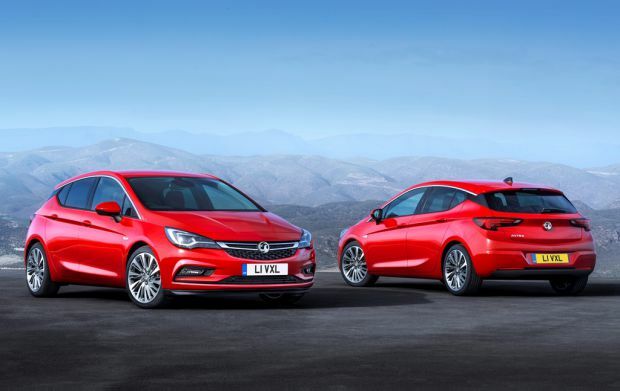 "The judging panel faced arguably the toughest decision in the history of the SCOTY awards but the Astra's sheer breadth of talent put it ahead of the rest,” said Alisdair Suttie, President of the Association of Scottish Motoring Writers. “It's a hugely relevant vehicle for both private buyers and company car drivers. We believe it's not just Vauxhall's best car yet but the new leader in an ultra-competitive segment." Built at Vauxhall’s Ellesmere Port plant in Cheshire, the new Astra is up to 200kg lighter than the outgoing model and thanks to its clever design it is smaller on the outside and bigger inside.